This entry was posted in Info and tagged body confidence, bulimia, campaign, eating disorder, fitness, health, life, news, project, self-esteem, support, t-shirt, tee, teespring.com, tshirt, wellbeing on June 13, 2014 by HSP. Well, after a little bit of a rethink we decided it would be best to lower the goal again, this time to 20. Surely this can’t fail! We have 17 pledges already and over four days to go before the end of our pledge. This entry was posted in Info and tagged anorexia, body confidence, body image, bulimia, campaign, eating disorder, fitness, health, life, news, project, self-esteem, support, t-shirt, tee, teespring.com, tshirt, wellbeing on June 13, 2014 by HSP. Unfortunately we are not going to get anywhere near our campaign goal this time – we currently have 21 t-shirt pre-orders and only 16 hours to get to our goal of 100 shirts. This entry was posted in Info and tagged body confidence, body image, campaign, eating disorder, launch, news, project, self-esteem, support, t-shirt, tee, teespring.com, tshirt, wellbeing on June 5, 2014 by HSP. 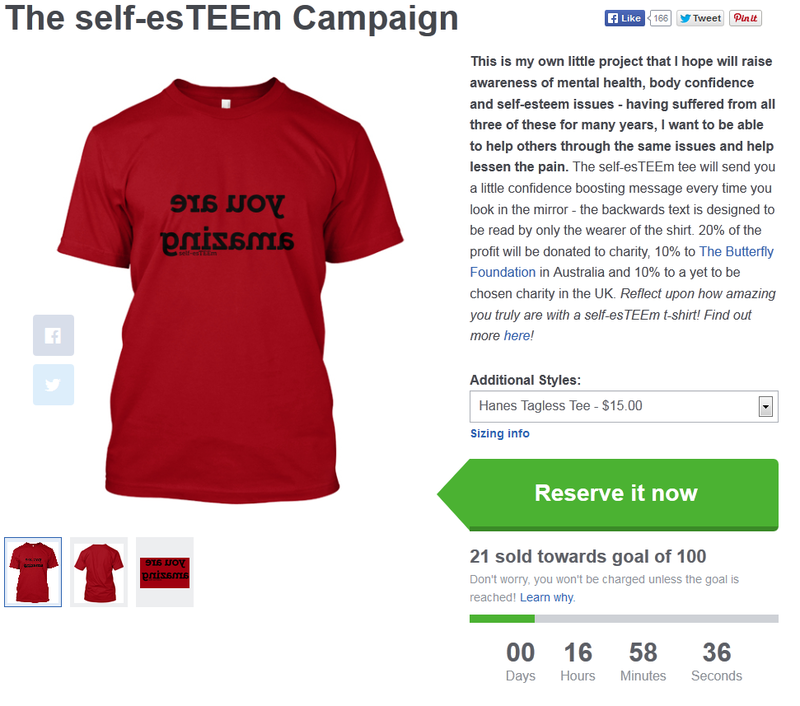 Well, we have 16 days to get 100 pledges towards our t-shirts! This is both exciting and terrifying at the same time, but we are determined that we are going to make a success of this! Please click here to pledge and reserve your shirt or hoodie! 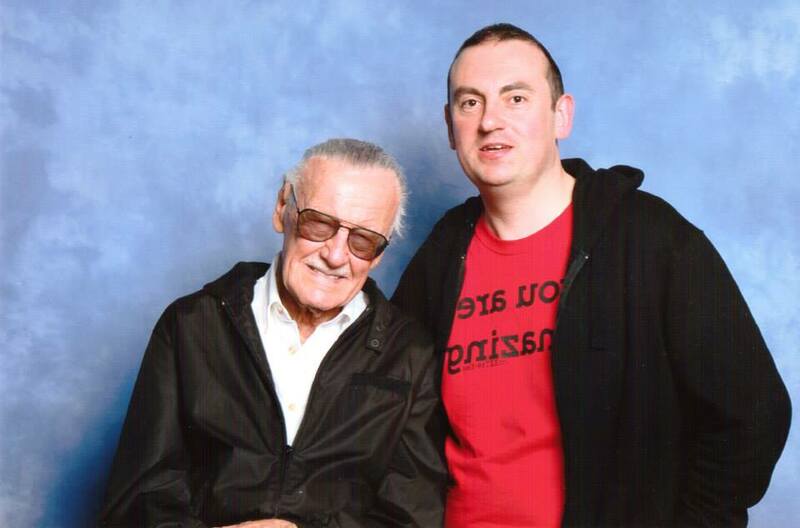 This entry was posted in Uncategorized and tagged anorexia, body confidence, body image, boody image, bulimia, campaign, eating disorder, fitness, health, launch, life, news, project, self-esteem, support, t-shirt, tee, teespring.com, tshirt, wellbeing on May 20, 2014 by HSP. 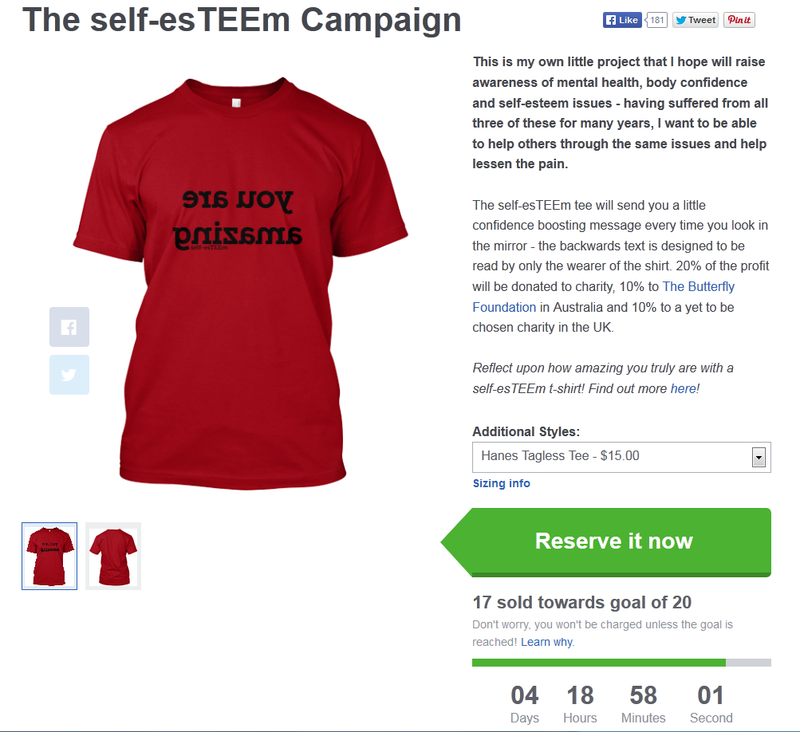 I am very happy to announce that our first ever self-esTEEm t-shirt campaign is up and running! 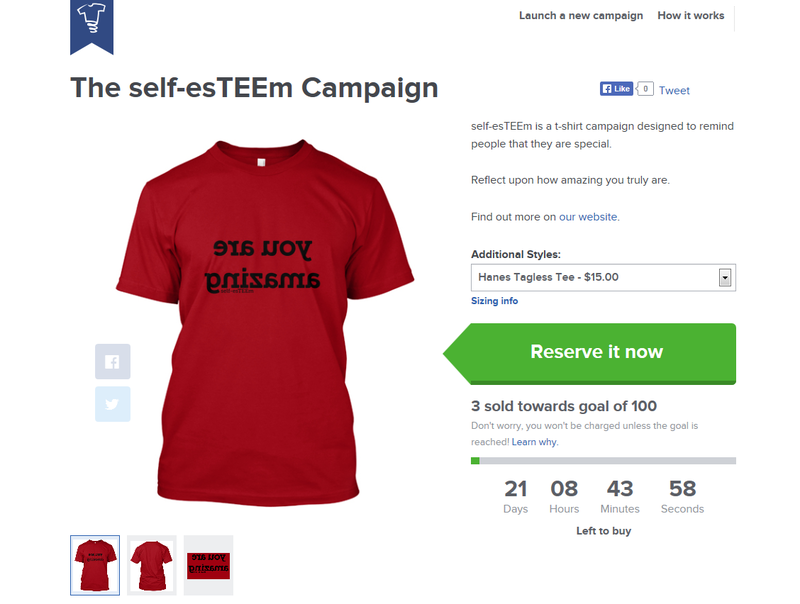 We have just 21 days to reach our goal of getting pledges for 100 t-shirts (and here’s hoping we go above that!). We have t-shirts and hoodies available on the website which can be found here and remember, no money will leave your bank until the campaign goal is 100% covered, so there is no risk to your hard earned cash. This entry was posted in Uncategorized and tagged anorexia, body confidence, body image, bulimia, campaign, eating disorder, launch, news, project, self-esteem, support, t-shirt, tee, teespring.com, tshirt, wellbeing on May 15, 2014 by HSP.